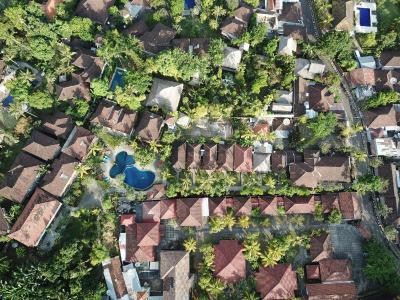 Lock in a great price for Puri Bali Hotel – rated 8.1 by recent guests! Staff was friendly and helpful. The hotel offers many activities at a fair price. The hotel is located very close to the beach, with many nice eating options close by. We had a lovely time and will certainly come back to Puri Bali Hotel. The room was big, the gardens and grounds well cared for and beautiful. The pool was divided into 3 sections with walls based on depth, the staff very friendly and helpful. It was perfect for our 4 night stay. Very friendly and helpful staff, our family room was an amazing house. Location was great too with many nice restaurants nearby. Large room at second floor for the kids and big swimming pool was the best things in this hotel, our room was right in the front of the swimming pool. The owner was so friendly and the waiter who served the breakfast so nice and kind. 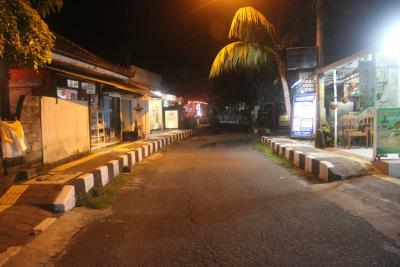 Puri Bali is in a quiet lane right near Lovina main beach. The starff are well trained, happy and polite. We have stayed here before and will return. If you looking for privacy and affordable this is the place. Each room is separate quite distance. Is like moving to a house not a room. 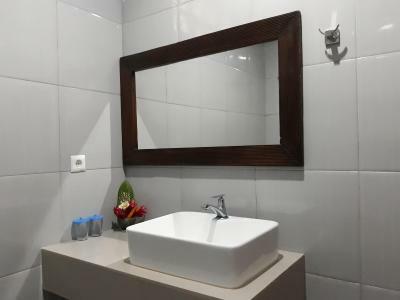 Puri Bali Hotel This rating is a reflection of how the property compares to the industry standard when it comes to price, facilities and services available. It's based on a self-evaluation by the property. Use this rating to help choose your stay! One of our best sellers in Lovina! Located in Lovina, 3.1 miles from Krisna Funtastic Land, Puri Bali Hotel has an outdoor swimming pool and a garden. 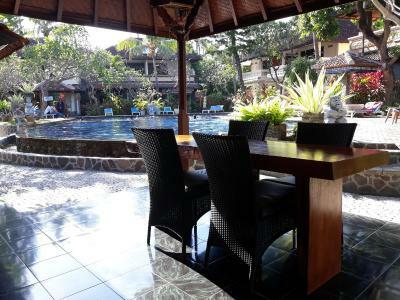 3.7 miles from Krisna Water Sports, the hotel has a terrace and a shared lounge. The property provides airport transportation, while a car rental service is also available. A continental breakfast is served each morning at the property. 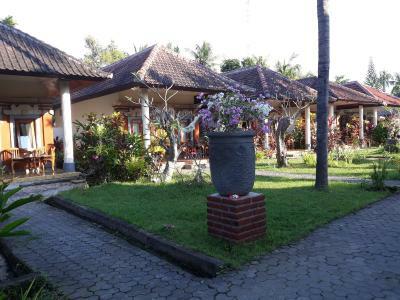 At the hotel you'll find a restaurant serving International and Indonesian cuisine. Vegetarian and halal options can also be requested. Puri Bali Hotel has a playground. Speaking English and Indonesian at the reception, staff are willing to help at any time of the day. 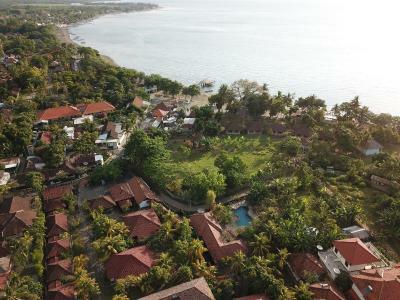 Lovina Beach is a 5-minute walk from the accommodation. Ngurah Rai International Airport is 63 miles away. When would you like to stay at Puri Bali Hotel? House Rules Puri Bali Hotel takes special requests – add in the next step! Puri Bali Hotel accepts these cards and reserves the right to temporarily hold an amount prior to arrival. Please inform Puri Bali Hotel of your expected arrival time in advance. You can use the Special Requests box when booking, or contact the property directly using the contact details in your confirmation. Rooms were a good size and comfortable. No fridge was disappointing. Fan and AC were great. Pool was too warm for comfort. Staff were lovely and helpful. The restaurant dog was very friendly. Greeted us late at night and wagged his tail. We could refill our own water bottles free, so that was a bonus. 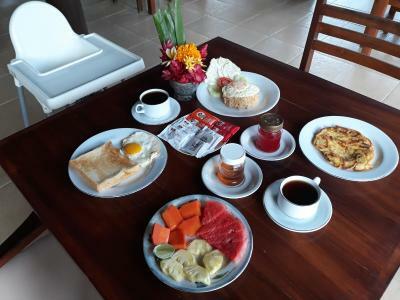 The breakfast was good, the pool was excellent, the stuff were friendly, the location is in the middle of Lovina, with many restaurants and near the beach. The pool, the private outside seating, the water bottle filling. Lack of a fridge in the room. Excellent swimming pool, well designed and maintained. After being in the pool for 20 minutes we realised our bikini's but also my hair turned completely green. I showered but it didn't go away so I went to the reception to complain. The older man laughed and said that it wasn't 'that bad' and that it had happened with others as well. He continued laughing at me without saying sorry or coming up with a solution. I cannot believe that if you know your pool makes multiple people green, that they didn't put up a sign or anything. Not happy about this. Good breakfast, clean, spacious and air-conditioned rooms. Could be better if coffee or tea can be have by self service on breakfast time. We were here 4 nights. Not once was the room cleaned. We had to go and ask for more toilet paper. Dodge Wi-Fi. You had to go and collect a paperslip with a new password for everyour device every day. Very annoying. Will not come back. The pool. Location. Friendly staff. Staff are amazing helpful & friendly. Breakfast was lovely. No nonsense hotel. Nice place to stay. Nice swimming pool. Close to the beach, but not recommended to swim in the sea. Scooter rental from the hotel. Nice hotel to relax. Familyhouses with two separate rooms and two bathrooms. Close to other nice restaurants and bars. Quick response and communication via whatsapp. We stayed 2 days longer then initially planned. Exiting gate ramp to have lower hump because car hitting the ground on existing the premises. Great location, just a few minutes to the beach. In area a lot of restaurants, ATMs, shops etc. Nice clean spacious house. The perfect pool, the children loved him :) Breakfast super, staff great, smiling, like everywhere in Bali :-) Thank you for a nice 5 days.